REAL DOCTOR'S REAL PARENT'S TESTIMONIALS FOR OUR THERAPEUTIC CLOTHING FOR CHILDHOOD ECZEMA. "Our pint-size testers and their moms saw their eczema almost vanish with regular use!" "As a board certified, pediatric allergist in New York City I am very familiar with wet wrap therapy using AD RescueWear and find it a wonderful way of treating and managing atopic dermatitis in children. This hydration method helps dampen the pruritis (itchiness) of the skin and lessen the use of expensive corticosteroid creams and ointments. It adds immeasurably to overall treatment." "A patient of mine who used one of your products wanted me to thank you...it has made life so much easier and helped me to convince them about the virtues of wet wraps!!! Thanks so much for all you do!" "The AD RescueWear suit is comfortable, lightweight and designed for the wet wrap therapy task. All of these features help with adherence to the therapy, which can be difficult at times. Interestingly, we’ve had some patients continue to wear the RescueWear suits even as ‘dry wraps’ — something about the comfort and the full-body coverage can be soothing for some patients”. "Wet Wrap Garments Soothe Skin of Children Suffering From Eczema". My review of AD RescueWear and their products actually starts before we received our rescue suit. The package got lost in the mail due to the carrier error, NOT the fault of AD RescueWear. I did not have it insured, so basically I was out of luck with the package lost. To my surprise, AD RescueWear sent me me complete replacement of my order: the Rescue Suit and some gloves! They were not responsible for the lost package, but were a "company with a heart" and helped ease my son's suffering with a free replacement suit. My three year old son has been going through topical steroid withdrawal for the past year (a result and complication of ineffective eczema treatment). It has been unbelievably difficult and uncomfortable for my son (and entire family). Nothing really seemed to give him relief from the constant cycle of itching, oozing, burning, and flaking. I have to say, once he put on the rescue suit it was like we turned a corner for the better. He put it on for the first time and immediately starting jumping up and down saying his rescue suit feels so good and it makes him feel like jumping! He was so happy, running around the house saying "I love my new rescue suit". The first night he wore it he actually slept for 6 hours in a row (previously was maybe 3 hours). It's like a smooth second skin for him that regulates his temperature, and soothes itchy, inflamed skin. He sleeps a lot better when he wears the suit. I WISH I would have gotten this for him a lot earlier in treatment. The only downside is that he wants to wear it all the time so the feet got worn out very quickly (the directions say to wear additional socks over the footed suit, but my son refused because his feet get hot easily). If you have a child who is suffering from eczema, topical steroid withdrawal, other skin issues I would HIGHLY RECOMMEND the AD Rescuewear clothing. It is well worth the investment. If you are considering the rescue suit, just order the 2-pack because your child with love it and you'll want to have at least two in the rotation. For our family, the Rescue Suit came at a time when everyone needed a beacon of hope...we needed a physical and psychological 'pick-me-up'. And for AD Rescuewear to replace the lost package for free showed grace and goodness in the company...qualities more companies should strive to embrace. In short, I highly recommend the AD Rescuewear products! "My 3 year old son has severe eczema. His hands, feet and knees always have horrible eczema on them. I have ordered eczema suits from other companies, but none of them compare to AD RescueWear. The Suit is so lightweight, silky and smooth. It really helps to lock in the creams and ointments after his bath. The suit does not allow him to scratch his hands and feet since they are enclosed in the suit. This suit is the answer that moms of eczema kids have been looking for. Also want to add that wet wrap therapy is the only way to battle severe eczema." Video Testimonial Part II: Happy Baby Playing: Watch as Jenny's baby plays happily while wearing the Wrap-E-Soothe Suit underneath his regular pjs. Even with his hands covered he can still play and pick up toys. "Since the day my son was born, we have struggled with his skin sensitivity and breakouts. He was officially diagnosed by his pediatrician at 4 months old with eczema. I have tried several different creams and combinations of different ways and frequency to apply the creams, yet it still resulted with my son's skin still being dry, resulting in eczema breakouts. Once I heard about the wet wrap therapy suit, I knew it was something I needed to try. I had read a lot about wet wrapping and was curious to see what results the wet wrap therapy suit would have on my son's eczema. The first night I used the suit, I followed our same nightly routine of a bath followed by applying my son's creams to his skin, and then I put on the suit. I was amazed at how easy the suit was to put on my son, who does not like to stay still very long. I was also concerned if sleeping in the wet wrap therapy suit with the mittens over his hands would affect his sleeping habits. To my surprise, he slept wonderfully through the night, not bothered at all by the suit. I put my son's pajamas over the suit, and he was ready for bed. The whole process of applying the creams, and getting him in the suit followed by pajamas took less than 2 minutes. When I took my son out of his crib the next morning and undressed him, I was amazed at how soft his skin was. I had never felt his skin that soft and moisturized. I was thrilled. His eczema spots were much less noticeable if at all there. I feel like this suit gives him the upper hand against his battle with eczema. He can start his day with his skin moisturized, when before he was already losing the battle because his skin was always so dry. I wash the suit everyday in a laundry bag, and lay it out to dry for the next night. This suit has never once lost its shape and still looks brand new after a month of use and many washes. I would highly recommend this suit to anyone who has children who suffer from eczema! This product has made a huge difference in my son's skin, and I am forever grateful to the creators of this suit!" "The wet-wrap suit that you all have created is a revolutionary product in the battle against eczema and everyone needs to know about it." "To use the Wrap-E-Soothe Suit, after bath time I get her medicine on her and then I lather her up in her cream. Once that’s all applied I get the suit wet in the bathroom sink. I ring in out so it’s not soaking wet and then I put it on her. It goes on just like her sleeper pajamas. Then I put her pajamas on over the top to keep her warm. Now she’s all ready to go! Then I just wrap her up and put her to bed for the night. I was surprised at how easy it was to put on and I was even more surprised to see her results from the night before. Check out her before and after pictures of her marks on her neck. They look so great after just one night!" "Now my big concern with the suit was with it being wet, would it make her cold at night. The first time we used the suit she did wake up at night so I thought she was getting cold. So the next few nights we didn’t have her sleep in it to see what would happen and guess what happened? She didn’t sleep through the night! So it must have been a fluke because we’ve used it since then and we haven’t had any problems. She sleeps great and she is nice and snuggly warm when she wakes up! Now for the Wrap-E-Soothe Sleeves these things are simply amazing and I wish I had known about them last year for my son. He does get an occasional flare up so they are so nice to have on hand. For the Sleeve, I simply put on my son’s prescription medicine then his cream and then I put the sleeve over his arm so he can’t itch! I can’t fit my arm in it to see what it feels like but my son says it makes his arm feel better." "The sleeves worked better than I expected! After dealing with troubled eczema spots on my 2 year-old daughter, I found that after even one overnight use, the area was soft, supple and appeared to be clearing up. We are so happy we tried something so simple, yet functional and that actually works! They're a God-send!" "I used the sleeves on my eight year old son who has had eczema since birth. He has eczema all over his body which is made worse by stress and warm, sunny weather. Returning to foggy San Francisco after a month in Upstate New York during the summer had his eczema so flared up. We were able to get most of his body under control with the usual cream therapies, but his feet (which had been exposed to the sun the most) were all crusty, red and scabbed over. I just couldn't get his feet comfortable until we started to use the sleeves from AD RescueWear. After about 5 uses of the sleeves, his feet where the best they have been in about a year. I was so impressed by the change that I had to write something. We have been struggling with eczema for so long that I wish these products had been around when my son was young. The material is soft and comfortable to wear to bed under pajamas. We put the sleeves on after showering and getting cream everywhere it needs to go. We have used the sleeves on feet, ankles, arms and legs. They truly are multi-purpose and easy to use." "They are working great for wet wraps!!!! So fast and I leave them a tad drippy .. And they stay wet the entire 2 hours! Thank you!" "My 15 month old son has severe dry skin on his legs and arms. After using the AD RescueWear suit at night for two weeks we have noticed a huge difference in his skin. The redness on his arms and legs are almost completely gone and the bumps are significantly less. The suit was easy to use. It was never a fight to put it on because it fit just like his pjs. This is a top notch product and I would highly recommend it to anyone who has a child with severe dry skin." "For the first time in almost a year I didn't have to lather my little girl up with steroids after her bath, just vanicream!!! Thank you so much for making the rescue suit!! It truly is amazing!!" "Thank you all for helping make my little 2 year old's life that much more comfortable. Through the use of your suit and her doctor's treatment, she is a happier and healthier little person. Thank you!" 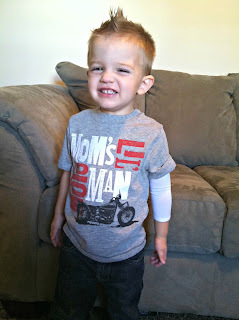 "We love the Wrap-E-Soothe wet wrap sleeves from AD RescueWear. My son and I both use them for our eczema and they are not only easy to use but so effective. For the first time, my 6 year old son was so excited to show off his soft "normal" looking skin instead of trying to cover-up in embarrassment. He shows anyone who comes in our front door. Finally something that works. He begs to use them every night." Just wanted to say a very big THANK YOU for creating a product that works! My 4 year old has eczema on her legs, knees and all over her feet for the last 2 years. As a mother it's heartbreaking to watch her tear herself apart with the constant scratching. I don't remember the last time she (or I for that matter) had a full nights sleep until we tried your pants and wet dressing! Amazing! So thank you from us all. I will be highly recommending you to anyone who's child suffers from eczema!" "Our routine in using the suit is pretty simple. If he seems to be having an eczema flare or is itchy at all, we opt for him to wear the suit under his footed pjs for the night. We typically start with an evening bath, gently pat him dry, apply a healing balm (Vaniply Ointment Skin Protectant 2.5 Oz), wet the suit in warm running water and squeeze it out, slip the suit on, and slide his pj’s over the suit. My son doesn’t mind wearing the Wrap-E-Soothe Suit in the least bit. We’ve actually dubbed it his healing suit. When he’s itchy, he often asks for his “Super Suit”, which is pretty cute and right on. I can't say more than enough good things about this product. This Eczema treatment has gotten my son to the point were he can actually comfortably wear short sleeved shirts and shorts again, something we didn’t think would happen all Summer season. And another thing is that I could only get his irritated skin better by using steroids but the good news since using the wet wrap suit is that I haven’t had to use that medication in months. It’s been a Godsend." "Our daughter has been struggling with eczema for most of her life. Upon coming across and using the full bodysuit from AD RescueWear, my daughter's comfort level has gone up exponentially, her eczema flare-ups are reduced, and her skin is the best it has ever been. I highly recommend AD RescueWear for any parent who wants to help their child manage the symptoms and stress of eczema." "I use the Wrap-E-Soothe Sleeves on my 4 year old son regularly to keep his eczema flares under control. If I hear my son scratching at night while he's sleeping in his bed, I wet the sleeves and slip them on his legs damp and he doesn't even wake-up. The whole family sleeps better!" "We are grateful for the AD RescueWear suit that my 2 year-old son wears each night, as he suffers from mild to severe eczema. We initially found it useful for holding in moisture, but recently we have been seeing actual healing of his skin when we soak the suit in water that is mixed with Himalayan pink salts. Overall, the product is great and there is none other like it. The pockets that enclose his fingers to keep him from scratching at night are very important in reducing the risk of infection of his skin. We recommend this product to parents who feel helpless with early childhood eczema." "My baby was born with red patchy skin that just kept getting worse. At 6 months, I finally took him to an allergist who recommended wet wrapping. I tried bandages and double layers of clothes neither worked as well as AD RescueWear. The Wrap-E-Soothe suit is thin and soft on my baby's sensitive skin plus it was easy to put on him. And after all the creams and wiggly baby, it's nice to easily slip on the suit. The suit washed great. Excellent product, I wished I had it from day one. Buy two, so you always have a clean suit. Oh, I almost forgot, I love the way the mittens fold over the hands but the baby can still pick up toys and play. Overall excellent product!" "My son is 3 years old and has been fighting atopic dermatitis since he was born. It has been a daily struggle to try our hardest to keep it under control. It seems to us that he gets worse every summer than the year before. This year he has been in a reaction since about March and on numerous rounds of antibiotics. His doctor suggested we visit your website and give these a try. When he was younger we were able to just use jammies but as he has gotten older he tends to try to take them off. When we received these in the mail we were super excited to give his skin the much needed moisture it has been needing. He put them on dry first to get used to them and then after his bath we got them wet. He was unsure of this at first but slowly I think he was feeling a sense of relief. He then had to wear the following night. I was very nervous that he would try to take them off but he didn't and my husband and I were very pleased at how soft the material is and how easy he took to them. Thank you for helping my poor little guy find some relief." "Our three year old son suffers from severe eczema. We have tried nearly everything to help our son find relief from his eczema, but to no avail. We had heard of wet wraps and saw your products, but were hesitant to try them. After yet another doctor recommended we do wet wraps with our son, we finally broke down and purchased the suit. Within days our son's skin was clearing up and much smoother. He was not itching as much and found some relief. We also decided to purchase 2 pairs of the sleeves for use on just his feet and arms and were again pleased with the results. Our son continues to battle eczema, but when we use the suit, or the sleeves, we are pleased with the relief our son receives from them. The more we use them the better he feels and the better his skin looks. We are hopeful now that his battle with eczema may be coming closer to an end and we have your products to thank!" "Our son has extreme eczema and is considered in the 2% of the worst eczema that Doernbecher Children's Hospital has ever seen. Their answer to solve it was to use steroid cream. The only catch was using the steroid cream lowers his immune system and he becomes sick very often. It was like putting a band aid on it and not getting to the root cause. It was also like trading one problem for another. So my wife and I set out to find out as much as we could about eczema and alternative methods (natural) to help our son. We came across a product that was all natural which was avocado butter. This worked great but his skin was having a hard time soaking it up. That is when my wife came across your product and it has been an actual lifesaver. Combining the avocado butter with your suit makes his skin remarkable. The avocado butter took a lot of the eczema (red puffy bumps) away but he was still left with extremely dry skin. The suit has taken 98% of the dry skin away and allows his skin to soak up the avocado butter. Now our son not only feels better he looks better also. It has been a blessing that we came across your product. We can't start to tell you how much your product has helped our youngest son. So in leaving, thank you from the bottom of our hearts." "In the few days that we have used the suit, we have seen a dramatic difference. We have continued to use Desonide, have increased his Vaseline applications from 2 times per day to three, and have worn the suit. His body looks amazing! I am ready to order another suit. Thank you for making an amazing product." "We originally ordered the suit because we were no longer able to control her eczema flare-ups. Fortunately, the suit has worked wonders for my daughter's eczema flare-ups and has helped control future flare-ups. Before the suit, our daughter would wake up many times in the middle of the night because her skin itched so bad. Now, she is able to stay asleep through the night and itching has basically subsided when she has the suit on. We love the fact the suit covers her entire hands and feet, this helps prevent her from scratching. Since her eczema is better controlled, we now use less cortisone which is good thing. We are now looking to buying a suit for our younger 9 month old son. His eczema has started to spread from his face to his body. Since he crawls so much, his knees and elbows are starting to get some bad eczema patches." "We tried your 4T top and bottom. The pieces felt very soft and they were easy to put on him. He was comfortable in them and he also seemed to stay warm through the night with his pajamas on top of them. I liked the feet on the bottom and the option of the hand covers. I really wish we could have had a product like this when he was younger. After using the suits for the three days, I would say that his skin was noticeably softer. The skin behind his knees in particular looked improved from the scarring and eczema he typically has there. I also did not notice him scratching himself after his bath as much as he typically does in the dry, desert climate we live in, which led me to believe he felt more comfortable." "The AD RescueWear Wetsuit is a great invention. Our little girl had results within 3 days. No more itching and scratching. What a great skin saving suit!" "After months of being up all night with my scratching little guy and exhausting all lotions, potions, soaps, and medications we found this suit and it saved our lives. He wore it damp for each night for two weeks and has worn it dry almost every night for the last year. His skin has improved dramatically." "So easy to use, wash and wear. Just what you need when your little one is crying in pain, yet struggling to get away and play. Highly recommend this item." 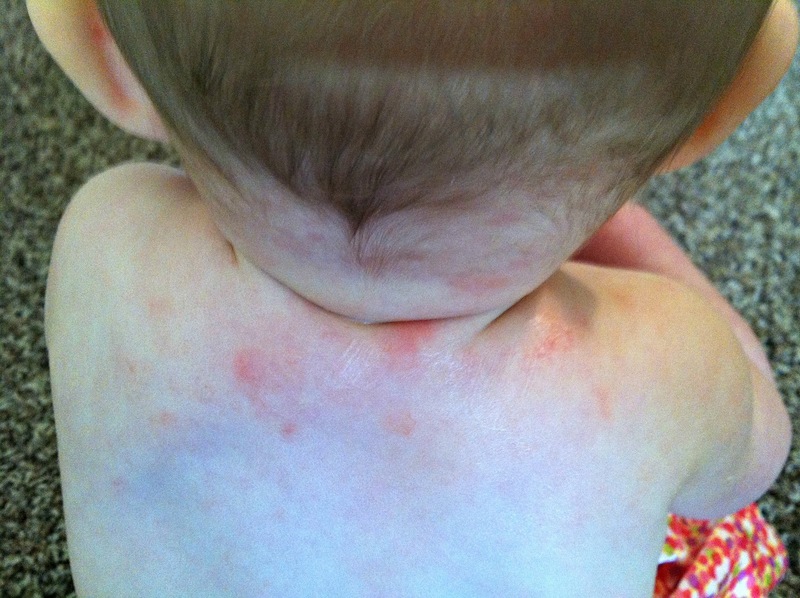 "We're struggling with figuring out a way to control my 6 month old's eczema. He'd wake every night with new sores from where he had scratched through at night. So far, he has seemed much less "itchy" with this product, and it keeps his hands wrapped well, unlike gloves or socks which he was able to take off at night. We still don't have his eczema under control, but while we search for a way to manage his severe skin problems, this product is a life saver." "I ordered two of these suits, and have tried them for a couple of months. I've found them to be excellent for managing my son's scratching, and minimizing irritation. The fabric is super soft, and fits like a glove. When he tries to scratch, he isn't able to rub the fabric so much against his skin. I use them in addition to the cotton onesies and pants (with the fold over hand covers) so he actually has two layers. I wash the outfits with soapnuts, as a gentle non-allergenic detergent. I love them, and the nice thing is that he loves them too, and calls them his astronaut suits :) I'm planning to order at least two more!" "I have 2 wonderful daughters, but my youngest suffers from celiac and has eczema outbreaks in the winter. After using the AD RescueWear tops and bottoms I noticed a significant decrease in outbreaks all together! We have to be cautious of all products we use on her skin so we are excited to share what we have found. At the local farmers market, I discovered a local salve with a heavy base of Fulton County beeswax , regional essential oils of lavender & calendula, and a touch of high quality evoo that is amazing. It is definitely "oily" but it smells great and gets the job done . I also rely on Griffin Remedy shower gels and skin foods, a San Francisco company, that includes organic sulfur compound in their gels which makes cell walls more permeable, thus able to allow more nutrients in and to allow waste materials to pass out of the cells. Keep up the great work AD RescueWear. Thank you." "My youngest son, Ethan, developed eczema at the age of 3 mths. It started on his cheeks and within 5 months, spread over his entire body. Every inch of his skin was dry and cracked open and his pigment changed from an almond brown to almost black. The doctors' caring for him at the time stated that he looked like he had 3rd degree burns! Despite trying every cream, lotion, oral and topical steroid known to man, his condition lasted for 18 months. Our dermatologist had mentioned wet-wrap therapy as a remedy for the inflammation associated with eczema and the night-time itching cycle. At the time, this consisted of dressing our child in his sleep-jumper and literally wrapping him with a wet towel. This was a messy process and my son did not enjoy it all. When I found out about the wet-wrap suit developed by AD Rescue-wear, I was ecstatic! This product made true wet-wrap therapy possible and a lot less messy." "It's the best thing on the market for giving my little grand daughter some relief, from the itching of eczema!" "Our 6 year old son has battled eczema since he was born. Over the years, we have tried countless creams, ointments and pajamas. Unfortunately, no matter what we tried, he continued to suffer. Some nights he would wake up scratching unable to go back to sleep. We were running out of ideas when we learned about your product. Even though it is often used for wet wrapping, we wanted to share our success in using the suit dry. After a shower or bath, we have had great results by simply applying a cream and putting the suit on him. This holds in the moisture and allows him to sleep through the night. AD RescueWear instantly became his (and our) favorite! Thank you for developing such an amazing product." "As a birthday gift, my son received a Wrap-E-Soothe Bottoms in size 4. We were really grateful to get these because my poor son scratches and scratches at night due to severe eczema on his legs. He did so well that first night and we all got a good night's sleep for the first time in months. I couldn't believe it! I was so happy!" "Awesome product. Can not recommend it enough. So soft & the tags on the out side so no irritation to skin. My son just curles up in it. Highly recommended." Gena uses the Wrap-E-Soothe top and bottom on her son and says Wet Wrap Therapy is easy and it truly is a miracle for eczema. Read her full testimonial with the link below. "We noticed a big difference in the feel of our daughter's skin after just one use of the Wrap-E-Soothe Top and Bottom. Sure, it took some bribery of a second bedtime book and extra snuggles to get her to keep the damp suit on, but after a while she didn't even notice she was wearing it. In the morning, her skin was no longer red and raw, plus it felt softer than it ever has before." "We used the bottoms for our daughter's eczema on her leg. It was raw, after her wearing the bottoms (wet and dry) with creams, her leg has healed. The sore was large and inflamed from scripting for several months. Thanks AD RescueWear!" "First off, THANK YOU for inventing such a wonderful product to help our kids find relief from the night-itching cycle associated with eczema. My 4 yr old son has dealt with this since birth and your products provide an enormous degree of comfort." "We used them for my 4 year old's poison ivy. The anti-itch fabric worked great to help him not itch and scratch his poor little skin and let it heal. Thanks AD RescueWear!" "I love the Wrap-E-Soothe tops and bottoms for my 4 year old whose eczema flares in the hot humid weather. I can't get him to take them off!" "Bought them for my grandchildren, both of whom suffer from eczema. My 2 yr old granddaughter is especially bad waking up many times at night because she's so itchy. She slept in the body suit with the cream and actually got a real night's sleep. My daughter considers it a miracle. My grandson is 8 and he gets eczema especially behind the knees and inside his elbows. The sleeves worked great for him." "This is the best product we've ever purchased for our infant son. After trying it for just one night, we saw a major improvement in his skin." "Perfect for Topical Steroid withdrawl. Red Skin Syndrome (see www.ITSAN.ORG) its a real condition I would have NEVER believed it until we went through it. Use them with wetwrap therapy----no steroids, those are DANGEROUS!" "This has helped my son so much. I wish I had found this sooner! My sons skin is so much better." "Our three year old has terrible eczema and scratches all night long. Up until I found these, I had been using socks (with the toes cut off) as sleeves, but this has made a great difference. The breathable fabric has helped her eczema so much already. We have been putting on a thick layer of her cream and then covering with the sleeves. We have seen a huge improvement in just a week." "I am so very thankful that we found AD RescueWear's Rescue Suit. It has totally changed the game for us. It has brought about such amazing results that I can't imagine what we'd do without it. We use it for both wet wrap therapy (when needed) and for regular pajamas/playsuit. I love that it has the mitts and that it is made of a wonderfully soft, breathable material. We were simply unable to find any set of pajamas with mitts to fit our toddler. So I am very thankful that AD RescueWear offers this body suit in toddler sizes. I think it is totally worth the investment, and I wish that every child with eczema would automatically be given this body suit at the doctor's office the second they are diagnosed." "Sleeping kiddo, happy mom. Rescue Wear has helped give our little one comfort during her outbreaks. She would wake upwards of 8-10 times a night. The rescue wear helps reduce this waking and gives her a better night sleep. Wished they lasted a bit longer but so worth it." "We received the eczema gloves and they are perfect. But the best part? They are really helping our son. It's so difficult to stop the eczema flare-ups on his hands, but these are a big help. And we love the eczema wrap sleeves. Very grateful for your products. Wish we could afford more, but so grateful we can afford any!" "We can't miss a night without this sleep suit. We have ALL been sleeping better since using it. My son is 2 and it gets a lot of wear and tear, so it has to be replaced every 3 months. This really should be covered by insurance...it works better than any type of steroid or antihistamine oral medicine for itching. It is not a cure for eczema and his skin is still a mess, so we still use the ointments and meds for additional relief, but his nightime itching had decreased by at least 75% since using the suit. We alternate dry and wet wrapping every other night in combo with Vaseline." "I recently purchased the rescuewear suit for my two year old son. He has severe eczema and nothing had been able to help him sleep, until we discovered this amazing product. I was very excited, to find something to give him relief." "My toddler son was recently diagnosed as having atopic dermatitis in 2014. Since then, we had been going to the dermatologist on a regular basis and it is heartbreaking to see his condition during his eczema outbreaks. Due to his constant itching & scratching, his skin would take a longer time to heal...and the moment you think the wound would heal...he would scratch at it again. I have been looking for something that my son could wear that would help in his healing process and found this website. And so I recently bought the Wrap-E-Soothe Bottom for him. And it arrived here in Malaysia within 12days! (thank you) So far it has helped him sleep throughout the night without scratching that much and now I am thinking of buying another set for him. Thank you :-)"
"My baby boy severely suffers from eczema. This body suit has been a blessing to us. It brings him so much comfort and has even helped reduce his eczema! He sleeps so much better at night and is not itching half as much. I would recommend this product to any parent that has a child with eczema. It is so worth it!!!" "One of the most beneficial things we have used are the AD Rescue Wear suits. He wears them 24/7 and it is the only way to keep him from scratching his skin. He still manages to scratch whenever he can, but I cannot imagine what his skin would look like without these suits. He wears them dry most of the day, and after his nightly hydration bath he wears a damp suit with warm jammies over the suit. The damp suits provide a cool relief for inflammed skin." "My daughter has severe eczema since she was 2 mths old. She sees a dermatologist every two months and has several food allergies that seem to make it worse. We were prescribed a strong steroid cream and she was given steroids on several different occasions due to infections. She was also prescribed a sleeping med to help with the anxiety of itching at night. My husband and I would take turns sleeping with her because she would itch so bad at night that she has to be held and she would still wake but not as bad. We did this for about 6 months until we could no longer handle it. The things the doctors were telling us to do, did not fix the problem. I came across the AD Rescue Wear website and I thought we should give the suit a try but hesitated due to the price. After a month passed and we were still in the same boat, I broke down and ordered the suit. THIS WAS LIFE CHANGING!!! I could tell right away that she was more comfortable at night and her skin would feel softer after she took the suit off. The suit seems to help keep the creams soaked in her skin which in turns helps her not feel itching. She can now sleep on her own which means we are all sleeping better. I highly recommend this to everyone who want to help their baby be happier and feel better!!!! I just recently ordered another suit because she has outgrown the old one." "I was desperate to heal my little guys hands and wrists, his eczema was so bad he would take chunks out of his skin when itching in his sleep. We got these gloves and in 36 hours we saw a huge difference. He wasn't scratching anymore and his hands were finally healing. The only thing I wish they offered were fingerless gloves for during the day." "I purchased your product, the pants, gloves and arm wraps, for my 5 year old daughter who has an ongoing battle with eczema. Our dermatologist had suggested doing wet-wraps at night last summer to help her skin, which we did, but just used cotton pajamas. In an effort to help her skin even more I decided to purchase your product after coming across it while searching the internet. All 3 products we purchased have been a great help and currently her skin is looking almost like a normal kid's!" "I cannot tell anyone enough about how much this has helped my daughter! Her eczema is severe, and this has been a saving grace for her!! Thank you so much for this product!!!" "Just wanted to say we have used these for 2 nights and a majority of my son's eczema is almost healed! We have been dealing with this for about 4 years! So far very impressed with these products!" "Best decision I made to help my baby sleep well at night. My son is 10 months old with severe eczema since he was 1 month. Nothing seemed to help relieve his itchy at night. I just used this last night and his skin on his body is so smooth and soft and he slept better then he ever did in a very long time. I know it's just been one night but with be able to constantly use this every night I believe it will make a huge difference for my little guy which makes me very happy." "This shirt has helped my son so much. He wears it every night to bed. It truly has been a life saver." "Our experience has been very positive. I purchased the sleeves for my son's legs and they've helped him tremendously. While he's wearing them they give him such relief from his itchy skin. Using cerave lotion and the vaniply ointment with the AD RescueWear sleeves had been our answer. The relief he gets is unbelievable." "The Rescue Suit for eczema (which my daughter wears day and night—the only time she changes into regular clothes is when we leave the house) absolutely, without a doubt, in my opinion are the BEST for wet wrap therapy." Above: Bailey sleeping in her Rescue Suit for Eczema with her dad. "This is the 4th pair (of sleeves) we have purchased in the last 2 years. We had a break with eczema for couple months until my daughter started swimming and her eczema started back up in her inner elbows. So we bought more sleeves. We interchange between damp and dry therapy at night for my daughter's inner elbows with a&d as moisturizer. Within a week, she has stopped scratching herself open every night and her arms have healed enough so she can actually open them! Thanks for such a great product." "Absolutely has been the best thing out there. The wraps are so soothing to the skin that my daughter doesn't realize she is wearing them. Keeping them moist with some lotion is the best thing that has happened for her. She still itches, I think more on habit now, but when she wears the wraps, it allows for her skin to heal without using strong medicine like cortisone. Thank you for having a product that really helps my daughter so we can all rest peacefully during the nights." Above is a picture of her and me playing golfing, she is a big golfer. Another picture is showing her using her wraps while playing golf. "We can't believe how soft our son's skin is in the morning. He's only three, but even he understands what the suits do for him. He claps and jumps up and down when he sees us getting them out. Thank you for makingthe first product that has helped his hands and feet!" "We have had great success with AD RescueWear! Using the one piece toddler eczema suit has helped tremendously. It helps keep the ointments on his skin so they soak in better, and it also helps keep him from scratching. We regularly use the AD RescueWear eczema garments as dry clothing/wraps. Our son gets a 3-5 minute baking soda bath, we then apply vaseline and only steroid ointment if needed, then put his AD RescueWear eczema clothing on. He also takes a nightly oral medicine to help with the itching." "My daughter has eczema and tends to scratch inside her elbows and the back of her knees while sleeping. I got the Wrap-E-Soothe sleeves for her arms and knees and the gloves to wear at night. The combination keeps her from scratching all night. The gloves are very comfortable and tolerated by my 7 year old daughter. They keep her from scratching at night." "My son has three skin conditions: x-linked ichthyosis, eczema (including food allergy related eczema), and psoriasis. His treatment plan is extensive, to say the least. Included in his skin care plan are the Rescue Suits from AD RescueWear. They keep him from scratching himself and soothes his skin. Using the Rescue Suits has cut down the occurences of bacterial infection in his skin, and makes it easier to sleep at night. While his x-linked ichthyosis cannot be cured nor completely soothed, these suits keep his eczema at bay. This is by far the best his skin has ever looked. Included are pictures, the first being from May 2015 of this year, the second being today, 12/12/15." "I love this product and this company! The suit has been a lifesaver for my son who was born with eczema. What a relief it has been for him! They have always been quick to respond to my emails and even sent me a sample suit when my order was on back order. You guys are always so helpful and nice, thank you!" "Wonderful company to do business with. I initially ordered the wrong size for my daughter based upon the exact circumference that I needed for her legs, I was off by a few inches total and they didn't fit her. I contacted the seller and was pleasantly surprised when they wanted to send out the right size for my daughter right away. The material that these are made of is high quality and allows the skin to still breathe while allowing any topical creams or ointments you apply directly to the skin to soak in and provide immediate relief. If you have a child that has eczema then you know that it is so troubling for us as parents to be able to keep them from scratching and itching frequently. Typically when you cover the affected area with clothing the cream will just rubs right off, but when using the Wrap-E-Soothe Sleeves on your child they will not feel the need to itch and scratch as the area will be completely covered by these sleeves. What a wonderful way to help heal a child that has to suffer on such a regular basis. These sleeves can be used dry or soaked in water prior to applying, to allow for maximum comfort and instantaneous relief. Helping the skin heal is the desired effect of these wonderful items and this is surely going to be the outcome for your child because of the insightful design and high quality construction of each item. This is a set of 2 sleeves and at such a wonderful price you will be so thankful that you decided to make this purchase. The customer service of this company is top notch and they will help you out with any questions or issues that you may have during and after the purchase is made. Wonderful product and exceptional company to do business with! Highly recommend that you make this your top purchase when looking to soothe your child." "I have tried almost everything to help manage my 3 year old's itchy eczema, and these pants are the answer! After wearing them for only a week, his eczema has cleared right up. And, before the pants he was waking up 2 or 3 times a night. Ever since he started wearing the pants, he has slept through the whole night every night! I would definitely recommend these." "Great, very thin and makes wet wraps easy!" "It's amazing what 1 night of wearing can do. 5 year old son's eczema was really bad...what haven't we tried. Whenever he has a flare up, he asks to use this. By the time he wakes up, inflammation is down and his skin is recognizable again." "My daughter has eczema really bad and these sleeves have helped clear it up, I have tried numerous products to help her and this is the only one that had worked for us, her legs have completely cleared up since using this product." "We got our first suit this week and it has made a huge difference in how my 2-yr-old son sleeps. He has severe eczema and allergies and is constantly broken out. I'm hoping I can find something to relieve his scalp irritation as much as the suit provides relief for his body. And thank you for making such an amazing product! I wish I had learned about this much sooner." "I ordered the toddler top and gloves they came within 3 days... My daughter loves them and her skin is improving so much I definitely will be ordering again!" "The suit and gloves have helped relieve my baby's eczema so much! I have tried everything and nothing has helped but this and he has never slept so good. Thank you ad rescue wear the customer service was excellent-definitely getting another one!" "Provides great relief for my 3 yr. old's escema flare ups." "So glad I bought these. Got these to help in moisturizing my psoriasis. I got them in a large, but I am a petite woman." "We went two years without sleep, got our suit and within a night our little girl is getting sleep and RELIEF!!!!!!!" "My great granddaughter is less than 2 years old. She was born with severe eczema. This Rescue Suit for ezema has helped her skin so much. Thank you, she also has severe allergies." "Oh my goodness!!!! Ok, I know what you are thinking....the price is steep, but the product is worth it! My dear daughter has eczema and many food allergies, so there are frequent flare-ups. I had a friend tell me about trying a wet-wrap treatment when she has a bad reaction. With the dry and cold weather, we have had a few bad skin days. So, I bought the Wrap-E-Soothe Suit and decided to give it a try. I did some research on how to wet-wrap and tried it. The results are remarkable!! It works better than using a regular cotton pajama because the material is fitted and holds tight to their skin. I did as told and put the regular, dry, cotton pajama over the Wrap-E- Soothe suit and she has much better nights. I thought that she would have difficulty getting used to it, but she did great. Now we use it nightly and I do dry-wrap therapy, we are seeing great results. I cannot tell you how impressed I am and wish that I had found this sooner!" "It has helped her tremendously she was born with severe eczema and it has been a struggle for so long. From one parent to another, if your baby has eczema this will help so so much and I will probably be spending 100s on Rescue Wear because it has cut down on all the topical steroids that I've had to put on her skin for so long and it honestly has given better results"
"This suit has been an absolute Godsend to our two year old. No more sleepless, restless, and itchy nights for him! My son would itch until he bleeds and was so uncomfortable until we bought this suit. Best $100+ I've ever spent! It was emotionally draining even as parents to watch his eczema take over, but we all sleep well now!!!" "I bought the sleeves for my 4 year old daughter who has severe Atopic Dermatitis (eczema), there has been no apparent reason for hers. Cutting materials, foods, soaps, lotions, nothing has helped! Until Rescue Wear!!! They are light, breathable, comfortable, and THEY WORK!! After the first time wearing them her arms felt soft, the cracking was gone, and best of all she wanted to wear them! It has been a long, frustrating road but finally we feel like our like girl has relief. Thank you so much!!" "Worn damp or dry immediately after an oatmeal bath, this helped my little 1 yr old baby sleep better at night rather than wake up from the itchiness of his eczema. He wore it all the time. Need to order another one for when he gets bigger." "Amazing company and product well worth it. My son is very dependent upon this suit and without it I don't know where I'd be. They were more than helpful with everything. Thank you so much. I highly recommend this product." "Thank you so much for your help earlier. The Danish store had no problem with shipping Wrap-E-Soothe to my address in Sweden. It arrived very quickly, already yesterday we tried it and my child slept very well through the night. The skin is remarkably better. I wish our midwife and the pediatricians knew of the Wrap-E-Soothe eczema treatment garments. We've struggled with our boy's eczema since his birth and the usual bandages are very hard to get on an itchy child and they don't stay on that long. I am definitely going to recommend this product to people I know who have the same problem and will mention it to our midwife and doctors. I wish I knew of Wrap-E-Soothe earlier. It also helped a lot that you have good service. Thank you!" "I bought this for our grandson who has severe skin problems, it is a lifesaver, because of it my grandson is able to get through the day without having severe pain. I can't say enough about this product and I will be buying more. I also need to add that we purchased two and had them about a month when one got a hole, we notified the company and they sent a brand new suit no charge at all!!" "I was up half the night researching eczema treatments as usual when I came across the AD RescueWear website. Instantly, I felt like I'd arrived at a website tailored to my son's needs. I was drawn immediately to the one step wet dressing eczema suit made of Tencel®. I quickly became familiar with the website, read about each product, and knew our lives would be better because of this discovery. My son has suffered for years with terrible eczema. We had only recently made the decision to stop all steroids and find a safer more natural way to heal his skin. Now weeks into the process of Topical Steroid Withdrawal and feeling beyond desperate for an easier method of wet wrapping our son, I had landed upon this gift. It took 30-35 minutes each night, applying the expensive wet dressings, attaching each one with tape, securing with socks, placing him in uncomfortable pajamas with elastic footies and praying that he wouldn't make his way out of them yet again and damage the new skin desperately trying to heal. Our son was traumatized with the sensory aspect of forcing such long procedures on his tender skin. Our son also has autism so one can imagine the lasting fear being created by each bath. My poor child. I quickly imagined a full night of sleep for myself and our exhausted family. I checked out the size guide and measured my son. He was right at the edge and quite in between two sizes. Feeling uncertain I quickly called AD RescueWear and spoke to Anne McVey. She was so helpful and listened as I asked many questions. She offered advice and for the first time in weeks I felt newly inspired. Our medical grade one step eczema wrap arrived quickly and changed the course of my son's eczema immediately! Within the first 12 hours he went from sleeping a broken 4 hours to sleeping two long stretches - one was just shy of 5 hours and the other was 4. Incredible! As a parent we will do anything and buy anything and this was ultimately the last thing I needed to buy. I've since called and spoken with Anne several times. Each time she has offered me encouragement and useful advice. It's common for parents to feel isolated instead of getting support from the medical community. Regarding our decision to stop steroid treatment, I was met with stares and largely regarded with judgement. I thank my lucky stars every day I wake up, encouraged by the changes this gift has given my family. I encourage you to trust your gut. There is very real relief in these products and they work right with your current treatments." "I love this product! I use the full body suit for my (almost) 10 month old. His skin is so much better, and all of the claims they make are accurate. I wish I had taken a before picture to show how bad his skin had gotten, but with this suit he has cleared up immensely. Even my son's Pediatrician said it was a huge improvement. She took down the name of this company so she could recommend it to other patients. This suit is worth every cent, and I cannot say enough good things about this company. They were helpful and prompt with answering my questions, and it shipped quickly." "I absolutely LOVE the Rescue Suit for Eczema! My son is 9 months old and there has been nothing to work like these products have in the one week we've been wearing them. They are just an overnight cure for us and the AD RescueWear eczema sleeves are life savers during the day. We have tried every eczema medicine, lotion, cream, granny's tricks, old wives tales, etc... The Rescue Suit, with just Aveeno Baby Cream, is the BEST, bar none!!!! I can not even describe to you how you have made my life (with three other children as well) SO much better!!! His pediatricians and dermatologist we have been working with were SO impressed as well and have written down all the information to pass on and help other moms! Thank you, thank you!!!!"